Who’s ready for a heat wave? 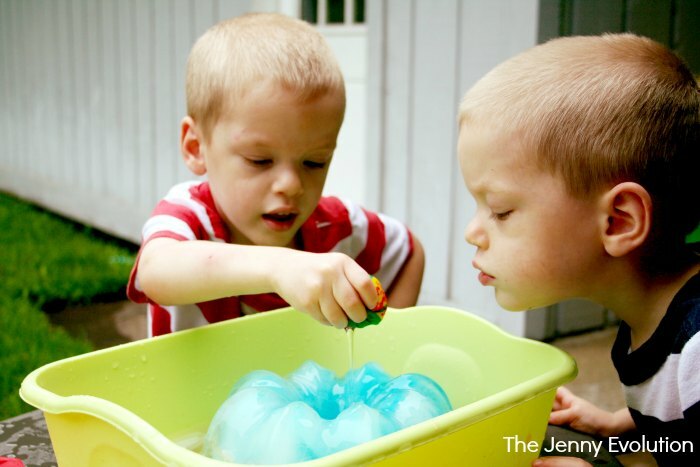 A sweltering summer day is the perfect time for some inventive ice and water sensory play for kids. With a little creativity and forethought, you can let your child experiment with different sizes, shapes and even colors of ice while cooling them off from the heat. If your kids are anything like mine, playing with ice is the perfect way to cool off. I love how, even though my boys get older, they never seem to outgrow playing with ice on a hot day. And mixing in the fun of a water table or kiddie pool just adds to the water sensory fun! 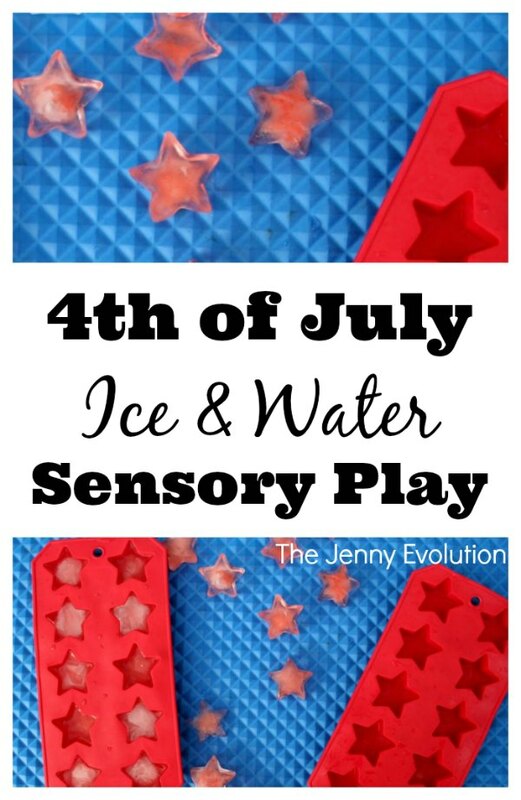 Fellow mom Heather from Books and Giggles is sharing her tips to making the most of ice and water sensory play with her kids. This post is part of the Sensory Summer series, hosted by Mommy Evolution in partnership with The Sensory Spectrum. I encourage you to follow us all summer and visit our Sensory Summer landing page to get the latest sensory fun for your kiddos! This post contains affiliate links. If you have a little one who still mouths objects, then you’re going to want a shape that’s too large to choke on. I decided to try freezing an ice ring. Even after it melts awhile, it’s still interesting for sensory play. This fancy cake pan I got as a wedding present gave me a beautiful result, but a regular Bundt pan would work nicely too. When you fill your pan, leave some space at the top for easy maneuvering into the freezer, not to mention room for the water to expand as it freezes. Mix in some food coloring if you like (I used 5 drops), and freeze it overnight. Before you go outside, unmold the ice ring by running water over it at your kitchen sink. Don’t make the mistake I did — I transported the ice ring outside still in its metal cake pan, and by the time I was ready to unmold it, my hands were wet from filling the water tray. Wet hands, ice cold metal . . . . It shouldn’t have been a surprise — my fingers stuck to the pan. I instantly envisioned the scene in A Christmas Story where the boy gets his tongue stuck to the flagpole. Lucky for me, it was a hot day here. Be sure all your ice is wet and slippery before letting kids play! I found these awesome water balls at my local Dollar Tree. 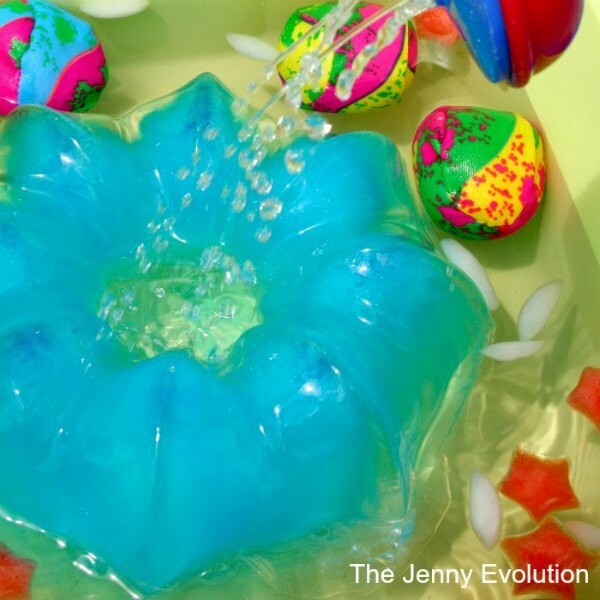 They’re sponges inside a fabric covering, so they soak up the water – perfect for sensory play! Once you’ve soaked these fabric balls, you can freeze them. Then, as they melt, your child will experience the changing state of matter from solid to liquid. 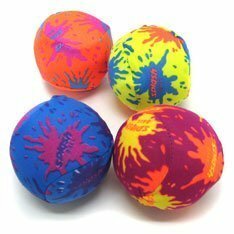 The balls I found are large enough that they wouldn’t be a choking hazard, except that they are squishy. So a child could push one into his or her mouth. Use your judgment. The icy cold might be jarring for some kids. 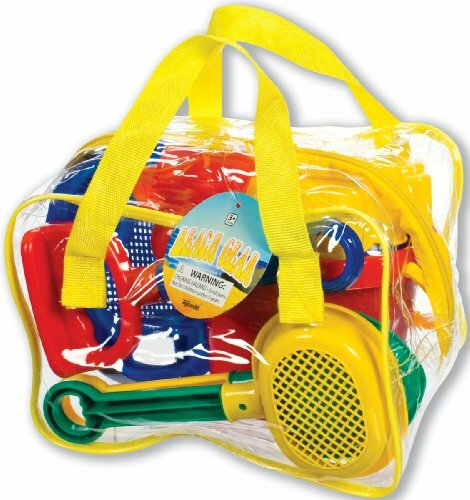 You can make the activity more approachable with a toy watering can, a sandbox scoop or slotted spoon. 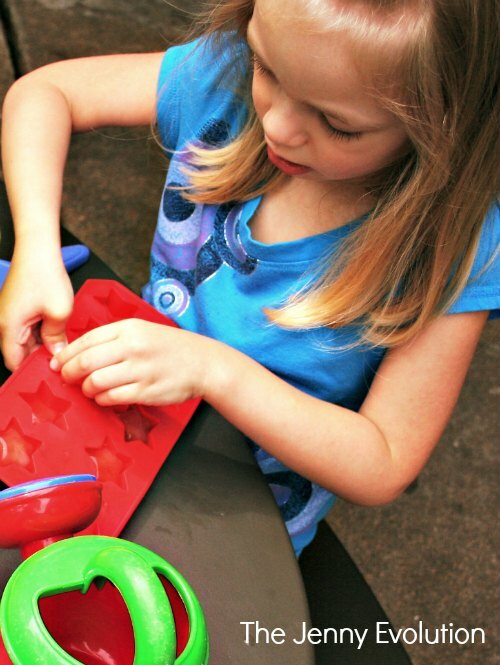 Pouring and scooping actions have the added benefit of helping develop fine motor skills. Plus, they’re fun! For kids who aren’t mouthing everything, you can add another dimension to your water sensory bin – ice cubes or shapes. Just mix a few drops of food coloring in a glass measuring cup full of water. 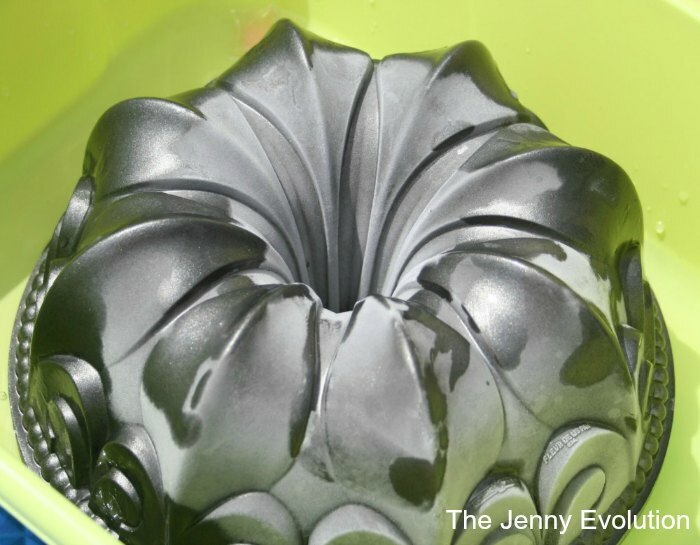 Then pour it into a fun star-shaped silicone mold, flower-shaped mold or even regular ice cube trays. You can put the ice in a water-filled sensory bin, a water table, or just on a play mat. Get your child and everything outside ready first. Then, put all your ice in a cooler and carry it to your play area. If you’re using small ice cubes, take out only a few at first. They’ll melt quickly in hot weather. I took my cooler over to a friend’s house, and her 3 and 4 year olds loved getting the ice out of the soft silicone molds. What a wonderful way to sneak in some fine motor practice! As your child plays, you can chat using any related vocabulary that might be new to him or her, point out that when the ice melts it turns to water, and that the small cubes melt faster than the large ice ring. Talk about what is going on with the spongy water balls, too. Most of all — get wet and have fun! 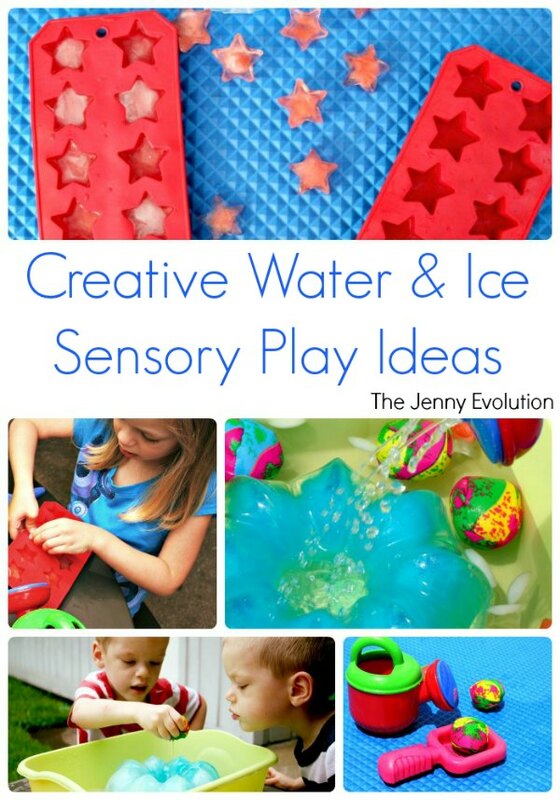 For even more fun, why not bring a theme into your ice and water sensory play. 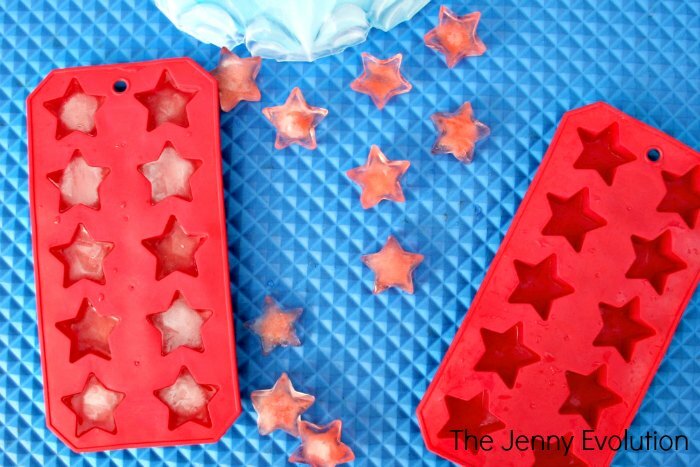 You could easily add red food coloring to your star-shaped ice cubes and have some fun patriotic 4th of July sensory fun! 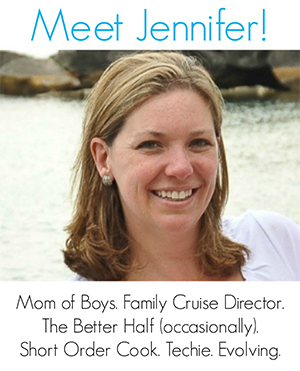 Heather is a former teacher turned stay-at-home mom of 5-year-old twins and an 8-year-old. She writes at Books and Giggles, a blog about kids’ activities, motherhood and early literacy from a parent’s point of view. 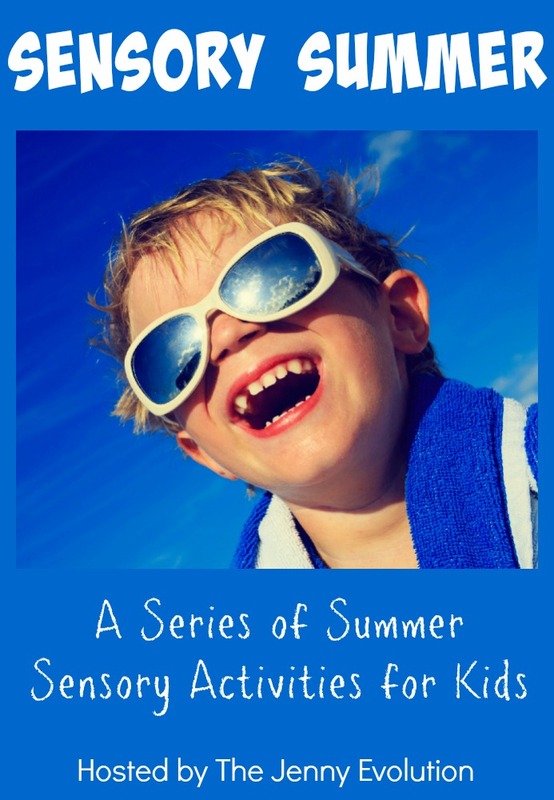 This post is part of the Sensory Summer series, hosted by Mommy Evolution in partnership with The Sensory Spectrum. I encourage you to follow us all summer and visit our Sensory Summer landing page to get the latest sensory fun for your kiddos! love the star ice cubes! Wow, love the ice ring idea! Thanks for sharing and hosting the #FridayFlash blog hop! Isn’t that genius! I never would have thought of an ice ring but I love it. What fun ideas for a warm summer day! It looks like the kids had a blast! I found you on the Motivation Monday Link up. Glad to find your site and your Pinterest site! Looks like the kids had SO much fun. Thank you for sharing at Merry Monday! It’s such a great summer activity! Thanks for visiting. Looks like everyone had a lot of fun! And that scene from Christmas Story is priceless!